you -may- will never see me again! From youtube we have found the essence of life. And, the video, the song, you cannot be more idiot, hmmmm do you remember the urban legend about Mr. Manson, about some ribs removed, sureley they have the same doctor. Dear Vevo, Let me start by﻿ saying get your corporate asses﻿ off YouTube! Ever since these big companies started paying off YouTube﻿ so they could﻿ post﻿ their freaking﻿ videos we can’t post ours.﻿ We are flagged for﻿ infringement evry time we include a song we like﻿ in our videos. This is YOUtube, the place where we can post OUR videos. If we wanted to listen to music from you wed go to your damn website. 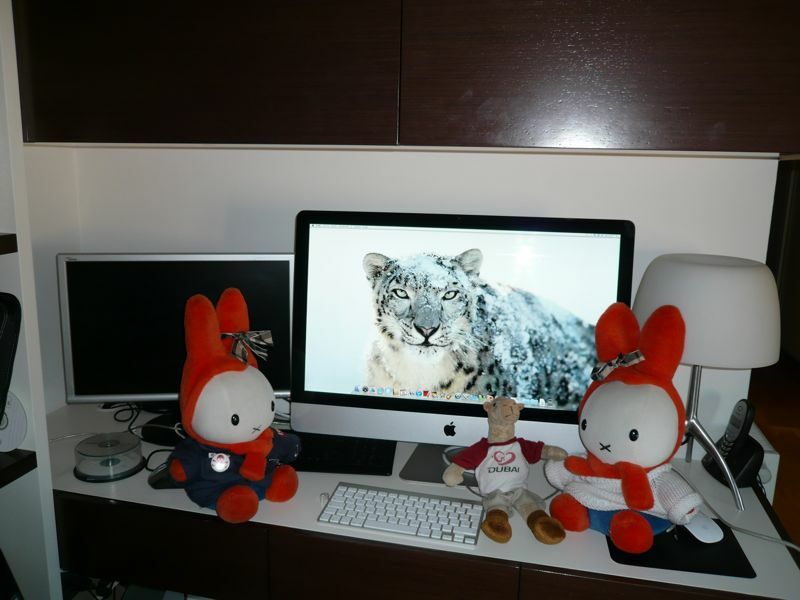 Here you can see me and my sister with our new “gato” snow leopard, more than 1,000 euros of waste in a computer that is as useless as microwave oven. But people who rules uses Mac and of course i am the number one. In the world of Miffy or Miffa – my name- many idiots stay around. First of all the creator of the bunny star who – after a long time- decided to sue Sanrio for Melody’s close appear to Miffy. Well, we must say that Sanrio’s lawyers will put a great effort on it, not like the former artist known as Shepperd (opdss), the guy who makes Obey, that stopped the Miffy has a posse! project when the lawyers wrote him. Pathetic, a new 2.0 hero who just show his great attitude!